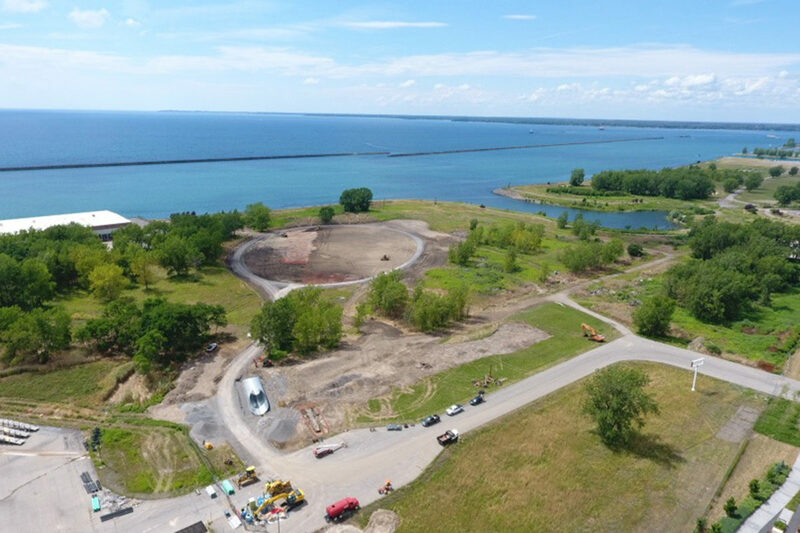 Construction of a multi-faceted project designed and led by TWMLA at the south end of Buffalo’s Outer Harbor is currently underway. 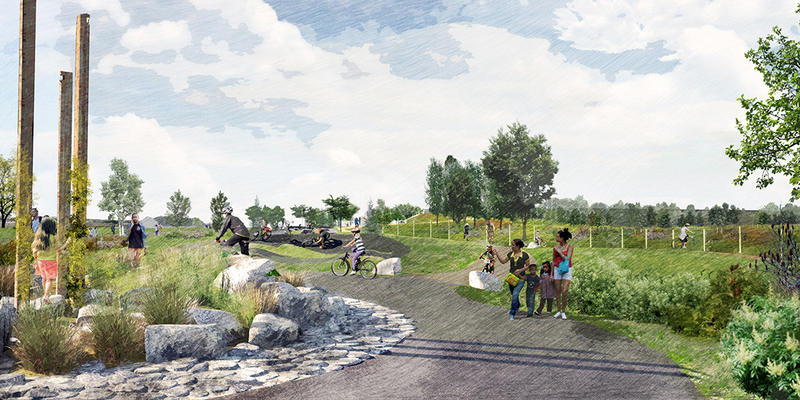 Scheduled to open in the spring of 2019, the project features habitat enhancements, an event lawn, expansion of an existing multi-use path network, and a bike park. The first step was implementing an invasive species removal and management program. Extensive native plantings are being installed within deer exclusion fencing with an emphasis on creating habitat for the bird species that utilize this Important Bird Area. The bike park will include two pump tracks, skills features, and off-road trails. Designed in partnership with the International Mountain Bicycling Association, it will provide recreation opportunities for cyclists of all abilities. TWMLA is also currently leading an overall capital planning study for the Erie Canal Harbor Development Corporation owned lands on the Outer Harbor to develop a cohesive series of public spaces. A number of implementation projects will be identified to enhance public access to the Outer Harbor and to increase water-dependent and water-enhanced activities. Within the context of this comprehensive study, TWMLA is on a team led by Bergmann that was recently awarded the Terminal B Capital Improvement Project. This exciting new project will determine the best use for an underutilized 95,000 SF waterfront warehouse.